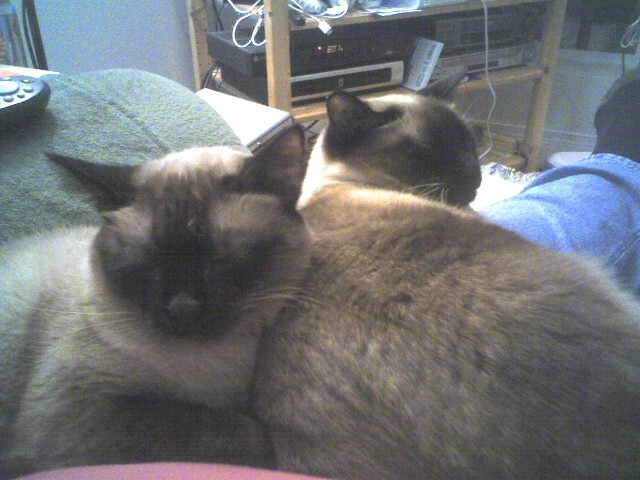 My kitties sleeping on my lap while I watch tv. 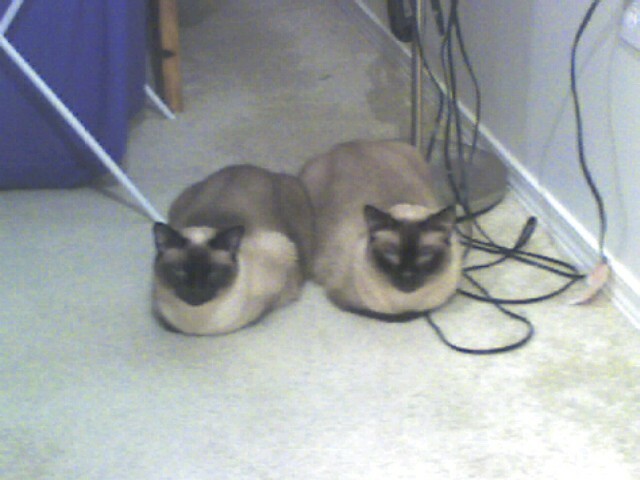 They are purring loudly. Buto is 'helping' me study.